MARSHALL — Former Westbrook Walnut Grove grad Jennifer Olsem Louwagie has turned her love for physical fitness into a budding pro body building career. Her first introduction to weight lifting came after track work outs, she finished lifting weights. She continued with her training while she attended Southwest Minnesota State College where she studied Physical and Health Education for teaching. After graduation she got her certificate as a Personal Trainer and worked for Marshall Avera Hospital Wellness Center. She said, “I was teaching aerobics and training and I loved my job.” She then took a job teaching physical education at the K-8 school in Marshall for eight years. In 2000 Olsem married her husband, Bill Louwagie, the couple have three children. After eight years of teaching she and her husband decided it was important for her to stay home with their children. While attending the 2011 Olympia she and her husband met her now trainer Eric DiLauro. 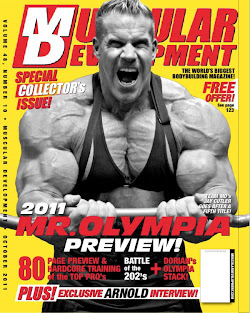 DiLauro has trained the great four time Mr. Olympia Jay Cutler and many other celebrity, amateur, and pro competitors. In October of 2011 Louwagie with some help from Dilauro, she placed 1st in her class, 1st in Master’s Figure, and overall master’s at her second show. Jennifer and her husband decided to contact DiLauro to train to bring out her best! After working out with DiLauro for a while they decided that she should look into competing in a new category called Physique. This division is a cross between women’s body building, but with less muscle and figure with more lean muscle. She lists her goals as: To place top 3 in a Pro Physique show in 2013. Get invited to compete in the Arnold. Compete at the Olympia. Get sponsored by a supplement company. Be a healthy role model for my kids — getting them to eat healthy. Continue to motivate an inspire, and leave an impact in the fitness world. JEN LOUWAGIE IS NOW IN CONTEST PREP FOR THE NEW YORK PRO IN MAY 2013. OUR PREP IS GOING WELL WITH AN AWESOME OFF SEASON TRAINING WHICH INCLUDED LOTS OF REST AND MUSCLE GROWTH . IT WILL BE A GREAT YEAR WITH THE ADDED SIZE I AM SURE YOU WILL SEE HER ON THE STAGE OF THE MR OLYMPIA 2013 THE DEBUT OF WOMENS PHYSIQUE!